In our introduction to functions lesson, we related functions to a vending machine. You "input" money and your "output" is candy or chips! We're going to go back to that visual as we begin evaluating functions. We are going to "input" a number and our "output" is the answer. If you can substitute and evaluate a simple equation, then you can evaluate functions. Remember, a function is basically the same as an equation. The only difference is that we use that fancy function notation (such as "f(x)") instead of using the variable y. Do you see how easy it is to keep our answer organized since we have two answers to display? We label them as f(-2) and f(3) to keep them organized. I hope you are finding this to be pretty easy! You actually already know how to evaluate functions if you can evaluate equations. We are just giving it a different name. Do you find that you need more help with evaluating functions? 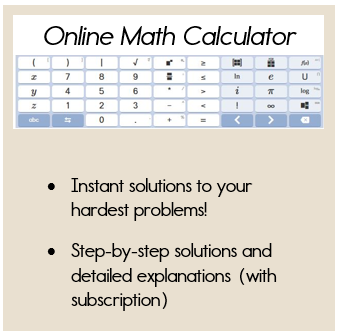 The Algebra Class E-course offers video tutorials, and practice problems with step-by-step solutions! It's like having your own personal tutor. In the next lesson we will move onto linear functions. 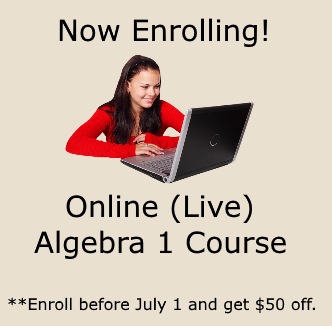 You will also find that if you understand linear equations, then linear functions will be a piece of cake!